Generally, GMOs, or Genetically Modified Organisms, refer to food crops that are bred using sophisticated breeding technology including biotechnology, mostly genetic modification. In this context, genetic modification implies moving an expressed trait (or phenotype) from one plant or organism to another plant or organism to give some advantage to the acquiring organism. That advantage may only be for human benefit, but generally all of agricultural breeding is for human benefit (even indirectly). The trait that is transferred may be very simple and innocuous, like resistance to a fungus, or it can be substantial like enhancing the nutritional qualities of the food. Humans have been manipulating the genetics of plants for over 10,000 years, a time right after the end of the Last Glacial Maximum. One of the hallmarks of human evolution has been the use of our intellect to overcome the vagaries of food supply by creating agriculture. Early in the development of agriculture, humans chose the most palatable and robust plants, and then making intentional decisions about the best traits to move to the next generation of plants while attempting to rid it of bad traits. Although many people like to use the Appeal to Nature, that is natural is better, to claim that foods from 100 or 1000 years ago are better than today, botanical history would say otherwise. The simple fact is that we have been genetically manipulating the fruits, grains and vegetables that we eat to the point that they bear little or no resemblance to the crops we started cultivating 10,000 years ago. Maybe some want to go back to eating the “corn” that was growing wild 10,000 years ago, but they would find that plant, called teosinte, to be unpalatable and innutritious. Teosinte looks to be nothing more than a grass that might grow on your lawn (and frankly, it’s closely related to the grass on your lawn). The same could be said about “wild” wheat, rye, sorghum or any grain. What we have today would be unrecognizable to a human from 20,000 years ago. The same story of genetic manipulation can be said of apples, grapes, broccoli, tomatoes, and just about any crop we eat today. Yes, you can make an argument that one cultivar tastes better or worse than another. Or that commercially grown tomatoes taste bland while heirloom tomatoes taste sweet. But if you think those heirloom tomatoes harken back to a planet filled with a few million humans picking their tomatoes from wild plants, you’d be wrong. Heirloom tomatoes are cultivars, plants which have been selected for certain traits (genetic modification again), that are less than 100 years old. Some are less than 10 years old. There’s no “natural variety” of plants here. I find it amusing that people try to create a false dichotomy: genetic modification by selectively breeding for “natural” characteristics is good, but genetic modification by inserting genes is “unnatural” and bad. The Appeal to Nature floods the world of thinking here. Let’s look at this more carefully, and I’ll try not to get overly scientific. In selective breeding, related plants with desirable traits are cross-bred. Let’s say we have an apple that tastes really good, but is susceptible to a fungus that damages the fruit. But there’s another breed of apple that tastes really bad, but is resistant to the fungus. What we would do is cross breed the two apples cultivars, and select out the progeny that have both traits. Eventually we have a crop of apples that is sweet and crispy, and not attacked by the fungus. For a plant like an apple, this could take years, because it takes so long for an apple tree to go to fruit. Even with annual plants, like corn or wheat, it still requires years to select for a particular trait, while not losing the other traits that are necessary for a productive crop. On the other hand, using genetic engineering, a scientist can select the precise gene that expresses the precise trait required. Then insert that trait into the receiving plant. So, going back to our apple, all we need from the other apple plant is the resistance to the fungus, nothing else. A plant scientist could find that one gene in the fungus-resistant apple, then “move it” to the more palatable apple. It simplifies the process (and gene transfer is by no means simple), because you don’t have to wait a generation (and probably more) to find the plants that retain the characteristics you want and that have none of the characteristics you don’t want. This technique gives more control over the whole process. But in a discussion about this process, someone will claim (and I’ve read it) that the natural process is…well, better. Except it isn’t. The unpalatable apple with fungus resistance didn’t acquire that resistance through a miracle. It evolved that trait as a result of a change in the genome of that apple tree. It could have been a mutation that gave the tree a selective advantage. But it could have been given to the tree by a bacterium that was resistant to that fungus. Or it could have obtained that resistance through some other “natural” genetic modification that hasn’t been discovered yet. The insertion of genes by human touch is no different, except that we speed up the process and instead of letting natural selection take a million years to give us a new apple tree, we are relying upon artificial selection to give us a better apple in a few years. Again, using the Appeal to Nature, some people will argue that evolution “knows what it’s doing.” Well, that would not be biological evolution, it would be some creationist level belief. In fact, evolution is a random process that moves in fits and dead ends with no goal at all. Natural selection, at its simplest level, provides advantages to those organisms that can produce more for the next generation, who can then grow up and produce even more for the next generation after that. Now that inserted gene isn’t going anywhere. Consuming that apple with the inserted anti-fungus gene is not going to cause that gene to incorporate itself into the human genome. If that happened, we would turn into cows (from eating beef), or corn stalks (from eating the corn that was consumed by the cows). Genetic movement between organisms is incredibly difficult, though it does happen given enough time. The fact is that our digestive tract breaks down foods into constituent sugars, amino acids, nucleotides, fats and a few other simple compounds before being absorbed, then, through various biochemical processes, those components are then reassembled into proteins, DNA, RNA, cellular components and everything else in the body. One can argue all day that somehow “natural is better” but that ship has sailed. We’ve left “natural” with our food tens of thousands of years ago, and the genetic modification that we can do now is only a speeded up version of the modification we do through artificial breeding. As a skeptic, convincing evidence is not only about what is published in journals but also whether it is logically and scientifically plausible. Science depends on plausibility, because it is one of the first steps of accepting a scientific principle. Most pseudoscience relies upon suspension of plausibility or violating Occam’s Razor, and creating an implausible chain of plausibility. I think if you look hard, maybe you could show some population correlation between a GMO and cancer, though it would be almost impossible to remove all of the confounding factors in cancer, so I’m not sure what you have in the end. But even if you see some correlation pattern, is it plausible? Is there any plausible way a GMO plant could induce some cancer? Well, let’s remember that there are over 250 cancers that afflict human beings. And believe it or not, unless there is some chronic conditions that allow cancers to arise, like immunosuppression, cancers don’t appear easily. And the rate of cancer today is actually less than it was 40 years ago, so that’s a pretty good indication that we’re not killing ourselves. Let’s go back to our new fungus resistant apple. Now the gene itself will never become a part of the human being, it will be digested, converted into a few nucleic acids and a sugar. All organisms on this planet utilize that sugar and the same nucleic acids to make RNA and DNA. 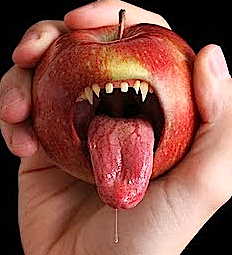 The apple anti-fungus gene has no special chemical backbone that somehow will infect us. Now it is possible that the anti-fungal compound created by the apple gene could cause an intestinal cancer. But that would be discovered in studies. Toxicity depends on dose (it never is an on/off type of system, toxicity is basically defined as the effect from a particular dose), so maybe one or twenty apples do nothing. But 100 apples make you ill. Or maybe the genetic manipulation was a total failure. Or maybe a different, better and less toxic, anti-fungus gene can be found in a bacteria, or an unrelated plant. It’s not going to matter from the point of view of cancer. What’s troubling is that the anti-GMO cult cherry picks badly designed studies that just happen to support their “beliefs,” that GMOs cause cancer. For example, Sayer Ji, writing in the Organic Consumers Association website last year, uses two studies to claim that GMOs cause cancer. Ji, whom I consider one of the most ignorant pseudoscience pushing cultists on the internet, dumpster dives through two of the worst articles “published” about GMOs to make his case. The first one, authored by Gilles-Eric Séralini, notoriously claimed that a GMO corn caused cancer in rats. The article was roundly criticized by independent scientists all across the world, purely because of the design, analysis and conclusion based on that design and analysis of the study. Séralini (and one of the coauthors who is a practicing homeopath–I can’t invent irony this good) were ridiculed throughout the scientific community for so many technical flaws that it would take another article just to list. Oh, wait there is another article that will provide the reader the full gist of the worthlessness of Séralini’s article. So, if that’s Sayer Ji’s evidence for “oh no GMOs cause cancer,” he’s truly cherry picking, but he’s quite incompetent about said cherry picking. 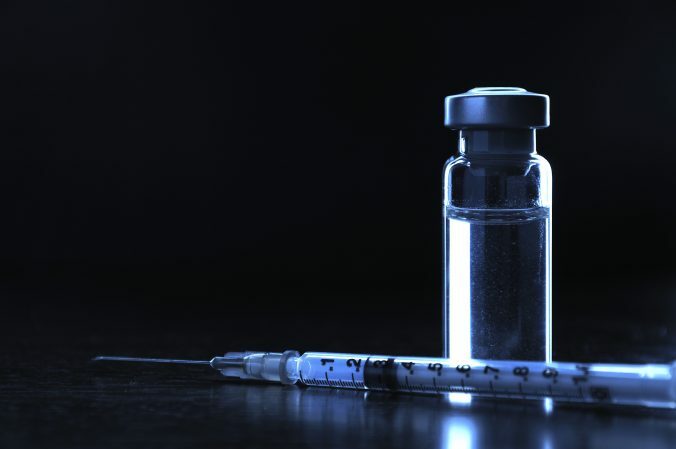 Ji then moves on to another article, which he claims “proves” that GMO crops that contain the biopesticide known as Bacillus thuringensis (Bt) may cause blood abnormalities from anemia to hematological malignancies (blood cancers) such as leukemia. He bases this claim on another retracted article. In other words, Ji’s whole emotional appeal that GMOs are dangerous because of a “causal link between cancer and genetically modified food was confirmed” is based on studies so bad, so poorly designed, so lacking in reasonable statistical analytics, that two different publishers retracted them individually. It’s really difficult to “prove a negative,” that is, that GMOs don’t cause cancer, but in thousands of articles, science has found no correlation between the consumption of GMO foods and any cancer. And there is no plausible reason to think that there could be a link in the wildest imagination. In the case of anti-GMO opinions, I have found that overwhelmingly those who are anti-GMO cite the same or a very similar list of standard claims, most of which are myths or misinformation. Further, for those who are open to evidence, when the nature of such claims are pointed out to those who are trying to be skeptical, but still have an ideological opposition to GM, they often move the goalpost rather than change their position. They say, essentially, that – OK, maybe all of those reasons I cited for opposing GMO have turned out to be wrong, but I still don’t like big corporations having that much control over our food. Or they might fall back on the precautionary principle. In other words, this is another strategy to avoid changing our position in the face of evidence, simply change the reasons for our position. This is similar to those who are ideologically opposed to the notion of global warming. First they claimed that the planet is not warming, then that it was but not human caused, then humans are contributing to warming but not that much, then, well, there’s nothing we can do about it anyway. I see the same thing in all of the areas of denialism that interest me. Whether it’s creationism, antivaccination, global warming denialism, or the anti-GMO leftism, facts and science be damned, only their personal beliefs matter. It’s ironic and maddening that there are, sometimes, little political overlap between the denialist groups, global warming denialists and GMO denialists are nearly at the opposite ends of the political spectrum, yet they all rely upon the same quality of science, that is none. And, by default, the rely upon well-worn pseudoscientific arguments to make their points. GMOs are safe, thousands of peer-reviewed journal articles say they are. Genetic modification, whether natural or artificial, are not different, except if you accept an Appeal to Nature. 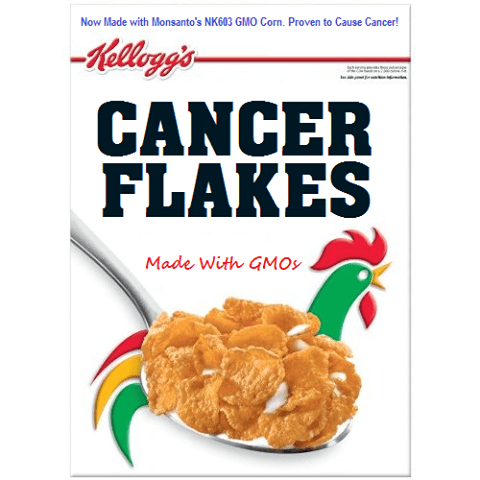 GMOs do not cause cancer, unless your standard of high quality evidence are articles retracted by journals. It’s nearly impossible to present real scientific evidence to “true-believers” who are religiously devoted to the anti-GMO cause. The variation of the Poisoning the Well fallacy, a form of ad hominem argument, whereby “Monsanto is evil, therefore anything Monsanto does is evil” is attempting to create a strawman through ignorance and delusion. Moving the goalpost, attacking Monsanto or other large corporations, is not relevant to the science. If you believe that it’s not about the science, or cancer, or whatever, but it’s about patents, or suppressing family farms, or whatever, you’re actually relying on myths, but I simply don’t care. This article is about the science of GMOs irrespective of the parties involved. I invite you to write an article about patent law or agricultural policy, providing evidence that Monsanto is an evil entity. I’d host it here if you’d like. But it’s not relevant to this particular discussion. Right here, right now, I’m discussing science. Nicolia A, Manzo A, Veronesi F, Rosellini D. An overview of the last 10 years of genetically engineered crop safety research (pdf). Crit Rev Biotechnol. 2014 Mar;34(1):77-88. doi: 10.3109/07388551.2013.823595. Epub 2013 Sep 16. PubMed PMID: 24041244. Impact factor=5.095.